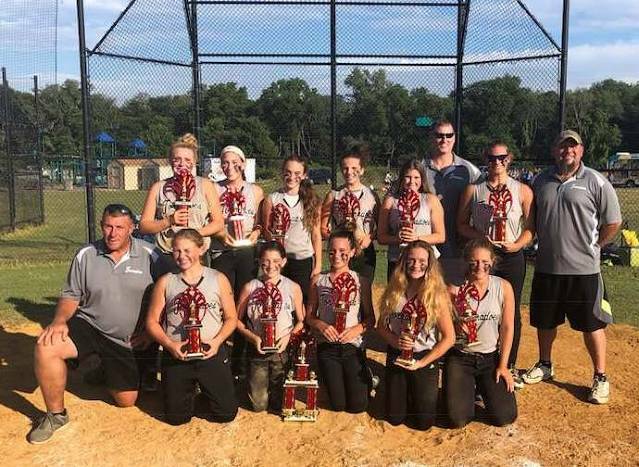 Howell – The Toms River Tornadoes 14U Girls Softball team earned another Championship this weekend in the 2018 NJ Heat 14U Eye of the Storm Tournament. The Tournament was hosted by the NJ Heat and Howell Girls Softball League at Soldier Memorial Park in Howell NJ on July 14th and 15th. The Tornadoes were matched up with some top quality teams for pool play on Saturday, and they opened the day with a 9-1 win over the Ewing Edge. After a disappointing 11-1 loss to the Hamilton Hurricanes in the second game, the Tornadoes bounced back in the final game with a blow-out victory over the Lower Mac Impact team, out of Lower Macungie PA, by a score of 17-2. This earned the Tornadoes a number 3 seed heading into Sunday. 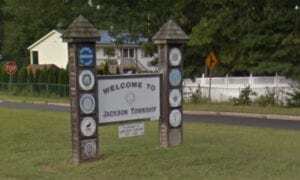 In their first game on Sunday, the Tornadoes faced the number 6 seed, RKE Jaxx out of Wall NJ, and the Tornadoes blew past them in a quick 12-0 game, thanks to a perfect game shutout. In the semi-finals, the Tornadoes had a rematch versus the number 2 seed Lower Mac Impact team, and they once again defeated them by a score of 9-5 in order to advance to the Finals. Waiting for the Tornadoes in the finals was the number 5 seed Lacey Storm, who themselves just capped off a 6-4 win over the number 1 seed Hamilton Hurricanes in their semi-final game; and who had just defeated the Toms River Tornadoes a few days prior in local league play. This finals matchup paired-up two evenly matched teams, as both were hungry for the win. The Tornadoes jumped out to a quick 7-0 lead after two innings, and never looked back on their way to a 13-5 victory to claim the top spot in the tournament. In total, the Tornadoes collected 52 hits and scored 61 runs in this Tournament. It is their 3rd Championship, and 4th Finals appearance, in 6 Tournament entries this year for this young first-year team. The team consists of Brooke Kane, Brooke Knight, Emma Thomas, Julia Cauldwell, Julia Golden, Julia Maier, Julianna Wood, Kaitlyn Sabino, Kayla Combs, Kayla Rizzo, Leann Paul, Lexi McDonaugh and Tessa Fielder.